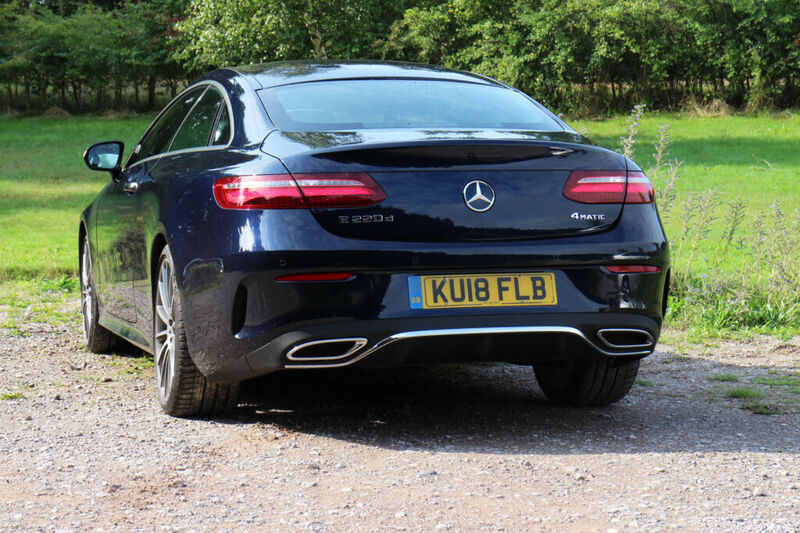 Simon Wittenberg spends the bank holiday weekend in the Peak District at the wheel of the Mercedes-Benz E220d 4MATIC AMG Line Coupé. The Mercedes-Benz E-Class Coupé sits in the range between the Coupés of its close relatives, the smaller C-Class, and the more sizeable S-Class. This model actually has a long history, and has been in the manufacturer’s genes for a while, with its first ancestor, known as the “Stroke Eight” coupé, dating as far back as 1968. 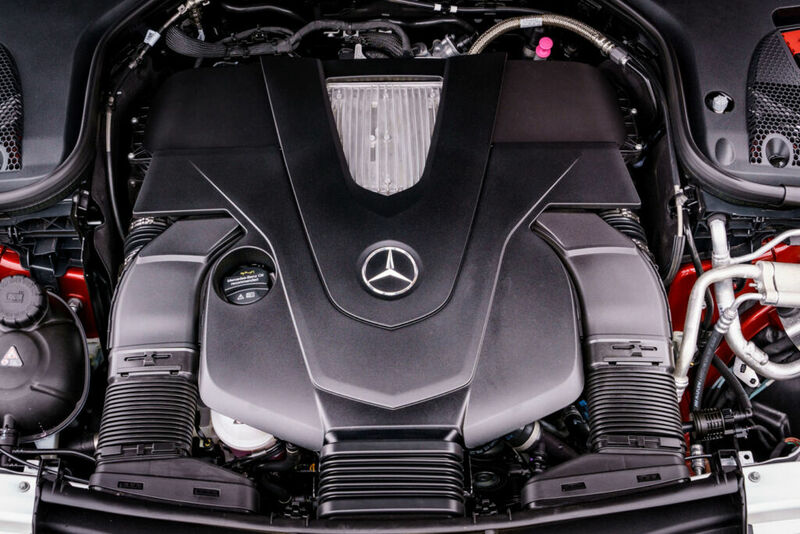 The latest generation of the two-door, four-seater E-Class Coupé arrived on UK shores in April last year, and in terms of price, the line-up starts with the diesel E220d AMG Line, and culminates with the 435 bhp petrol AMG E53 variant, costing nearly £63,000 prior to specifying any extras. The E220d 4MATIC AMG Line guise (not to be confused with a growling AMG), which we tried, is available for a reasonably accessible £41,740 before you start adding options, of which there were a few that were fitted to our test car, thereby bringing the overall price tag to a notch over £53,000. 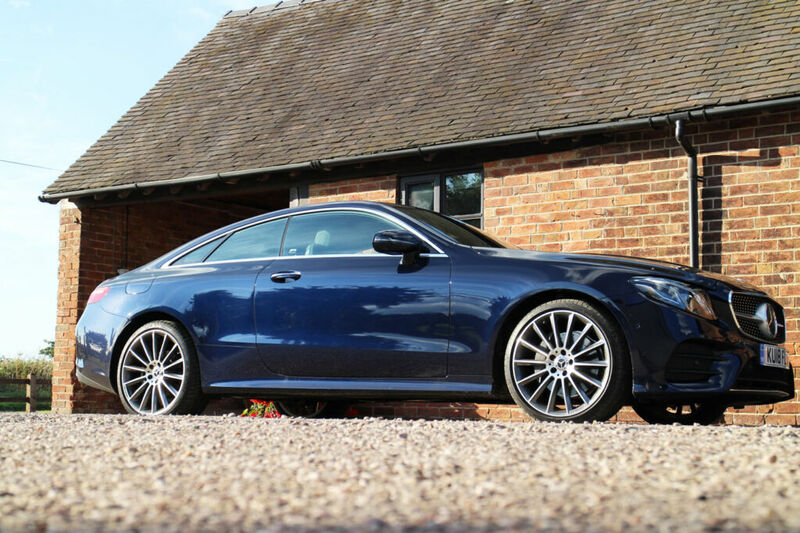 This included the smart Cavansite Blue metallic paint (an additional £685) which accentuated the beautiful curves of the E-Class Coupé’s smooth-lined exterior, whilst contrasting nicely with the sporty silver front grille, the sharp-looking Multibeam LED headlamps, and the eye-catching titanium grey 20-inch five-twin-spoke alloy wheels, etched with the letters “AMG” (a £595 extra). The side windows on this model are all frameless, and the arching profile of these is a similar shape to that which you would find on the upper deck of a superyacht, whilst the sloping rear has been furnished with attractive tail lights, the Mercedes three-pointed star (which doubles up as the boot opener) and twin exhaust pipes. On to the interior, and it’s got an exec feel about it – an ideal environment in which to admire the surroundings whilst nestled in a comfortable cocoon. The cabin is dressed in soft black leather which is complemented by subtle silver detailing right down to the door locking mechanism. The wide centre console features elegant black ash wood trim that sweeps up past the analogue clock and ventilation controls to meet the four jet turbine-inspired air vents which are certainly a talking point. The ambient mood lighting, which illuminates the underside of the dash and the middle of the door inserts, was a particular favourite of ours, and I think we managed to go through several of the 64 shades during our round-trip from London. You can also flood the cabin with natural light thanks to the panoramic glass sunroof. There are plenty of useful compartments and nets in the front and back to store drinks bottles and any other in-car paraphernalia, with two touch button-activated storage compartments in the centre console providing ample space for a couple of smartphones. This is also where you will find the two USB and 12V sockets for charging your devices. Our test car was equally fitted with the COMAND Online system (costing £1,495) which allows the integration of a smartphone into the vehicle’s infotainment system by means of capacitive aerial coupling and wireless charging. This eliminates the need to find a plug and connect a cable, and the system is also compatible with Apple CarPlay® and Google’s Android Auto™. 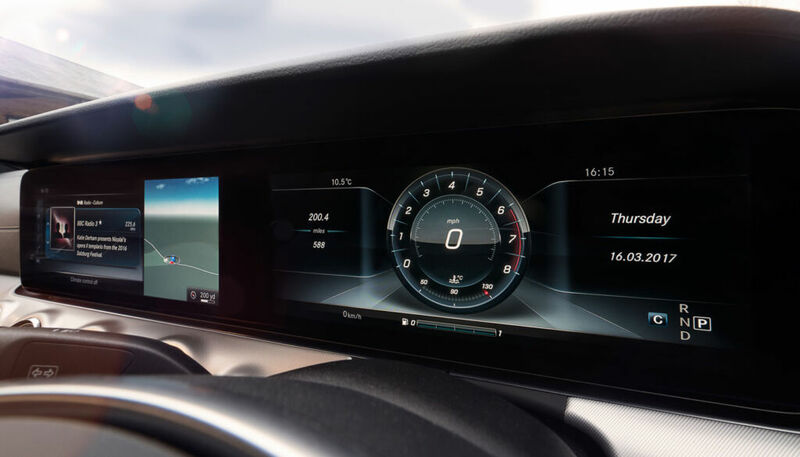 The dashboard, which sits behind the comfortable-to-hold three-pronged and sporty-looking steering wheel, is made up of a 12.3-inch-long widescreen electronic display (a £495 option – normally the interface is 8.4 inches in diameter), resembling a grown-up iPad, and is divided into two sections. The area on the left is for multimedia (delivered via the Burmester surround sound system – part of the £3,895 Premium Plus Package), whilst the one on the right-hand side is the for driver information i.e. the speedometer and rev counter. The satellite navigation system which is powered by Garmin, is controlled via the touchpad which is mounted on the top of a curved controller between the front seats, which would also look nice as the gear shifter. It’s intuitive to use and not too sensitive, plus there’s the added benefit of live traffic information on tap. In terms of the actual ergonomics and general layout of the E-Class Coupé, the electronically-adjustable and heated seats up front deliver a supportive seating position with good all-around visibility. They also recline electronically (granted it takes a few seconds to complete this operation), but you don’t have to be a contortionist to get into the back. 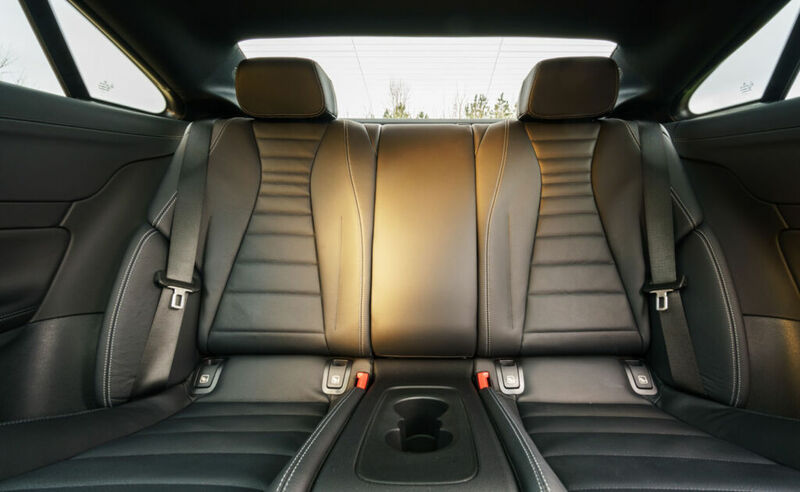 Even though the car has a fairly pronounced roofline at the rear, there is ample head and legroom to accommodate passengers of a reasonably tall stature. In addition, the rear seats fold down to give access to the boot, and with 475 litres on hand thanks to the relatively bulbous shape of the rear, there was easily enough capacity to hold a couple of small suitcases plus a bit of shopping.